It all started out as a story of Ryan Lochte calling his mother to tell her that he had been robbed at gunpoint in Rio during the 2016 Olympics. But since the swimmer's allegations have been decried as false by Brazilian police, could Lochte face charges? During an interview with NBC on Aug. 14, Lochte recounted the story, claiming that he and three fellow Team USA swimmers were robbed at gunpoint while in a taxi by people impersonating Brazilian police. The discrepancies in Lochte and teammate James Feigen's accounts of the night sparked doubt among Brazilian authorities. And after failing to find video footage or witness evidence, Brazilian police made a statement claiming the swimmers were not robbed, but had vandalized a gas station. Ultimately, the swimmers could be subject to prosecution for providing false testimony if they did in fact lie to investigators. There's also the reported vandalism. Each crime can potentially result in one to six months in jail, a fine, or probation, according to ABC News. Lochte returned to the United States before Brazilian Judge Keyla Blanc de Cnop ordered he turn over his passport, so he won't likely face extradition over that. 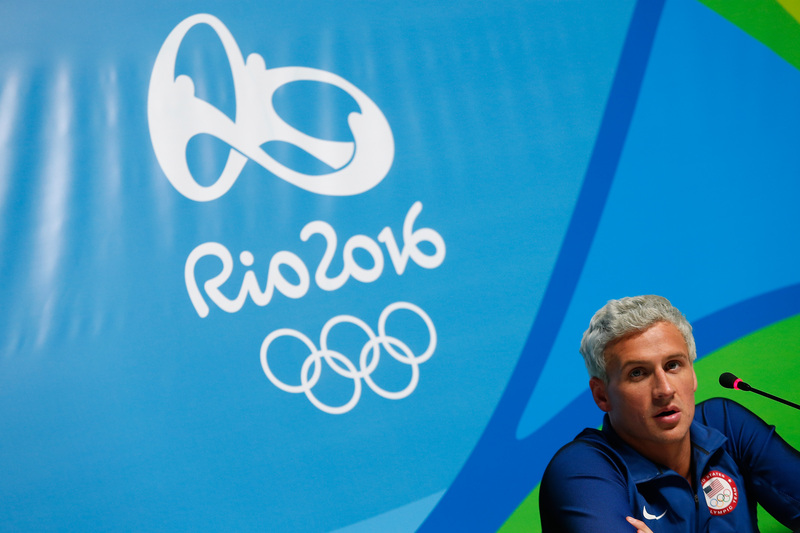 According to Brazilian law expert Paulo Barrozo, a special court for big sporting events is handling the case against the U.S. swimmers. Blanc de Cnop will preside over and will likely resolve the expedited case in about a week. As reported by ABC News, Barrazo also said that the embarrassment a charge would bring for the American swimmers would be substantially worse than any court ruling. He suggested the swimmers make an apology to avoid that. Along the same lines, David Kubiliun of Greenspoon Marder's criminal law practice in Florida told People that since he's already back in the States, Lochte isn't likely to face any charges. Although, if Brazil chose to place a warrant on him to return with his passport, there's a chance he would be arrested if he returned to the country. "Just like if the U.S. were to place a warrant on someone — let's say [Lochte] would travel back to Brazil, he would obviously get picked up at the airport and be incarcerated and face the charges of falsifying a police report, if they're filed," Kubilun said. So, it's possible that Lochte and team could face some charges or fines, but the chance of that happening probably isn't too high.